Importer of a wide range of products which include camera adapter. 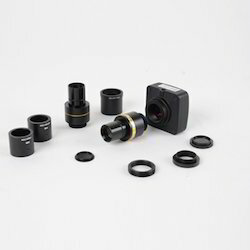 We have gained a remarkable position in the industry by offering a qualitative assortment of Camera Adapter. The offered adapter is ideal to be fitted in camera. Apart from this, the entire range is rigorously tested under the strict inspection of our quality controllers. This range can be availed from us in various specifications at market leading prices. Looking for Camera Accessories ?